As you know, I blogged about my personal weight loss journey last week, and I told you that I had started Medifast. Well, this morning I stepped on the scale for the first time since I started the plan. 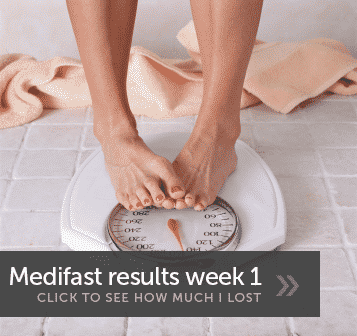 I was excited and nervous to see my Medifast week 1 results, and honestly, when I looked down at the numbers on the scale… I was shocked. Asking yourself, “What is Medifast?” Find out on this post. 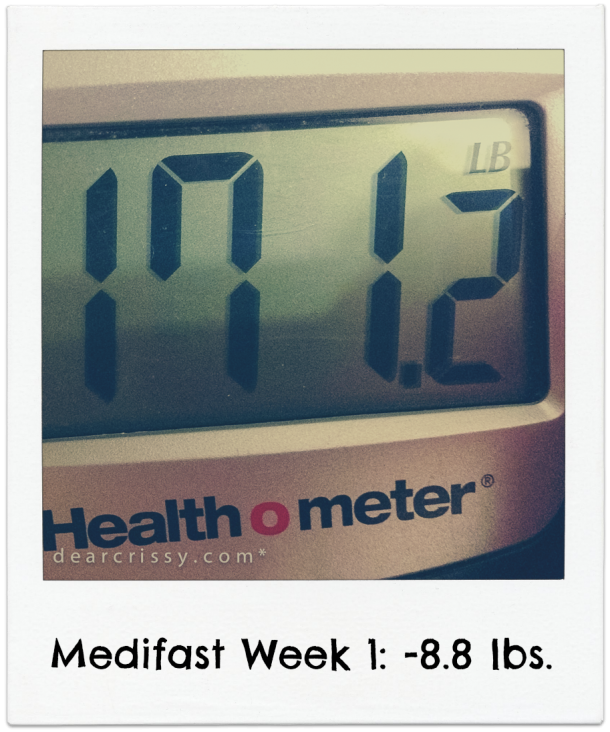 Keep reading to find out how much weight (if any) I lost on my first week of Medifast! So, Medifast claims that you lose 2 to 5 pounds per week in the first two weeks, but I must be special, because I lost 8.8 pounds! OMG! I just realized today how filthy and ugly my scale is, haha. I am quite certain that some of that weight was water, however, I’m still really pleased. Lost this week: -8.8 lbs. Total change so far: -8.8 lbs. Well, I followed the Medifast plan EXACTLY over the past week. I actually feel like I deserve a medal, not so much for the weight loss, but for sticking to the plan. I ate my 5 daily Medifast meals every two hours, and prepared 1 Lean & Green Meal each day. Those Lean & Green Meals are actually so satisfying at dinner time. You can have a pretty large portion of lean meat (varies based on the meat, I had grilled chicken most days but also pork loin and roast beef). I won’t say that this week was EASY, because it wasn’t. I felt a little headachey and tired for the first couple of days, but now, I’m really in a rhythm, and I feel perfectly well. Not super energized and not fatigued, just normal. Normal and 8.8 lbs. lighter! I know that I can not expect such dramatic results every week. Really, I do. I’m attacking my weight loss one day at a time, and really, one meal at a time. I am definitely becoming more conscious of what I eat, and I know that’s a good thing. I am on day 2. Just the fact I havent gone to any fast food joints or eaten a ton of sugar is unbelievable. I am very commited this time. Good to chat with other ladies doing the same. I started Medifast 5 weeks ago and have lost a total of 17 pounds. Like you, I lost about 8 lbs. the first week. Mostly water I’m sure. It has been 2-5 lbs. now a week after the first one. I feel good and need to lose at least 40 more lbs. I think eating every 2-3 hrs. is a great way to go with this diet and the convenience of bars, etc. to bring with you for the in between meals. Being a diabetic, I would also like to recommend this diet plan. Yep we are having the same results and at just about the same starting point. For me the best part is just “grab n go” which has been my downfall in the past. I’m never prepared. I really like the bars, brownie, cookie, puddings, banana shake, and chicken noodle soup. I’m definitely going to be ordering more of what I like next month. This month was a try everything to see what works. My Lean & Greens were also simple but I’m going to try a few of the recipes, I just got my cookbook this week. Wow, more than 8 pounds! Way to go!! Awesome! You’re doing a great job! That is so awesome!! Congrats on your weight loss! Congratulations! Keep it up, usually with any change in diet things get better after the first week and your energy levels actually improve! Great job! That is an amazing loss for one week! 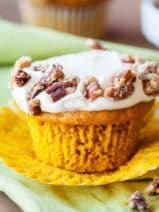 There are lots of sites with recipes to help spice things up a bit. You just have to make sure they are compliant with the plan. 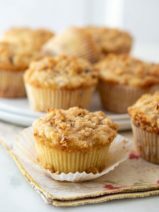 Alot of people like to make muffins out of the oatmeals, I’ve never tried it but for some they like it better. For soups I use low sodium chicken broth instead of water for more flavor. One of my favorite thing to do is take the dutch chocolate shake and add a tbls. of PB2, so yummy!! 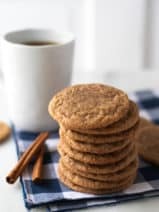 And I have a great recipe for making a shake from the soft baked cookie, tastes just like a Dairy Queen cookie dough blizzard! 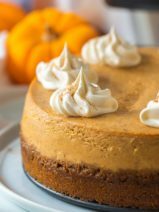 It really all depends are your tastes but there are some ways to mix it up a bit. 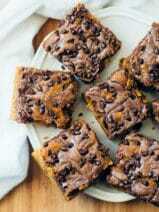 would love to know the recipe that Iris L uses for using a soft bake cookie to taste like DQ cookie dough blizzard. Congratulations! I would give anything to be able ti do this, just can’t afford it. Wow! That is a lot to lose in one week. 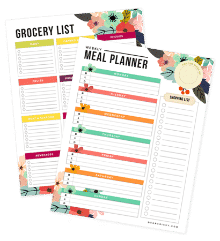 Do you plan to blog through the maintenance phase as well?